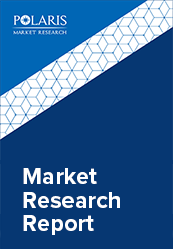 The global geotextile market size is projected to grow at a CAGR of 8.8% between 2018 to 2026. The increasing demand for infrastructural developments, rising applications in drainage systems in several parts of the world and an escalating increase in activities for prevention of soil erosion, are the primary factors that are driving the worldwide geotextile market. The significant functions of geotextile are separation, filtration, drainage, reinforcement, and protection. It is being increasingly used as an alternative to granular soil filters. Their permeability and filtration properties of the play a crucial role in retaining different particles while allowing water and other fluids to pass through the material. The increasing government regulations in the construction industry are expected to result in positive impact on the demand for geotextiles over the forecast period. The substantial reason for the growth of geotextiles is its ability to retain the strength and characteristics of the aggregate material, in addition to separation and filtration. Rising population and urbanization across the globe has resulted in high demand for geotextiles from the transportation, agricultural, and ground drainage systems. Owing to these factors, the use of geotextiles market is expected to fuel over the coming years. A challenge faced by the industry in the present scenario is that the material used in geotextiles, such as synthetic is a petrochemical based product, thereby causing carbon emissions. This poses challenges as the governments have formed stringent regulations to check the carbon footprint. Additionally, an inadequacy of standards and lack of awareness among consumers might hamper the growth of the geotextile market in the coming years. The global geotextile market is segmented into types of manufacturing technology, material types, applications, and region. Based on technology types the market is further segmented into woven, non-woven, and knitted. The types of materials are polyester, polypropylene, polyethylene, and others. The report includes applications segmented into agriculture, drainage, erosion control, road, railways, and others. The nonwoven segment is anticipated to be the fastest growing product type segment in the geotextile market. Its ability to provide a combination of through-plane and in-plane permeability, adequate puncture resistance, and tear strength to resist aggregate penetration under cyclic loads has resulted in high demand for the product in several applications. The use of nonwoven type in pooling water, drainage systems, and rail industry results in an increased lifespan of the structures. It can be used over a couple of decades, thereby reducing the need for frequent maintenance of these systems. Whereas, the woven geotextiles are used in case of high strength requirements such as road constructions, erosion control projects, and corrosion resistance projects among others. The polypropylene segment is expected to be the fastest material segment type. The increasing demand for synthetic fibers can be attributed to its property of not getting affected by the biological (microbial processes) or chemical reactions. The polypropylene fibers can be extruded in the form of tapes, silt film, monofilament, and multifilament among others, thereby resulting in a large number of applications. The geotextiles have largest applications in road constructions and repairs. It is due to their ability to provide high durability to the roads, where a high amount of mechanical loads would be generated or to allow rapid dewatering from the roadbeds. Additionally, they also find applications in railway works to ensure the undisrupted functioning of railways, in drainage systems to filter soil and allow water transportation without clogging, agricultural areas for mud control, and sports field construction among few others. The regional market demand in 2017 was the highest in the Asia Pacific. Countries such as China, India, Japan, and South Korea are the major contributors to the geotextile market growth in the Asia Pacific. The country’s demand can be attributed to the nations’ infrastructural reforms & developments, and several government initiatives. The Chinese government is anticipated to invest around USD 500 billion by 2020 in enhanced infrastructure for railways and roadways, in turn increasing the demand for geotextile market. Rapid urbanization and implementation of advanced technologies in the developed nations is anticipated to drive the market. Additionally, stringent government regulations for managing municipal solid waste across several other nations such as the U.S., UK, France, Germany, and Italy, is expected to fuel the demand for geotextile market growth across the globe. Some of the key industry participants currently operating in geotextile market include Asahi Kasei Advance Corporation (Japan), Berry Global (US), Carthage Mills (US), DuPont (US), Fibertex Nonwovens (Denmark), GSE Environmental (US), Huesker (Germany), Kaytech (South Africa), Leggett & Platt (US), Strata Systems (US), Mattex (Saudi Arabia), NAUE (Germany), OfficineMaccaferri (Italy), and Propex Operating Company (US) among others.